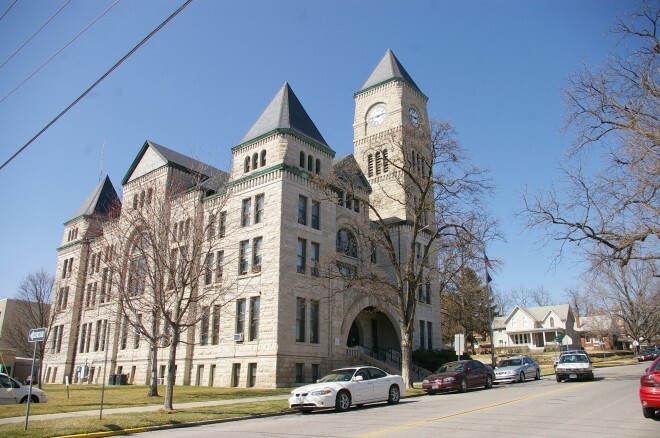 Atchison County is named for David Rice Atchison, who was a United States Senator at the time of the Kansas-Nebraska Act. Description: The building faces east and is a three story gray ashlar stone and granite structure. The rectangular shaped building sits on a slight slope. A smooth cut stone belt course continues all the way around the building at the first story. The east front has a large arch at the entrance with recessed doorway. 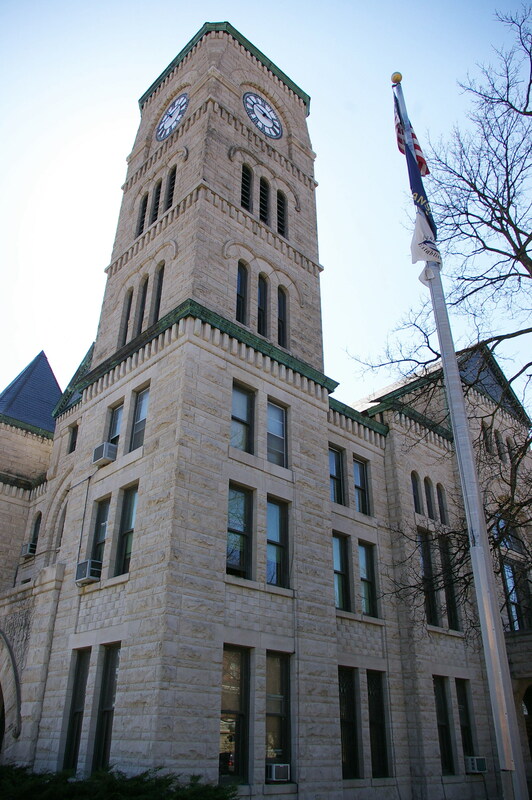 On the northeast corner is high square stone six story clock tower with steep roof. On the other corners are small stone towers with steep roof. In the centre of the east side, the building rises to a peak with arched window. The south and north sides also have centre peaks with large arched window. On the west side, the building is connected by a concrete areaway to the concrete jail. 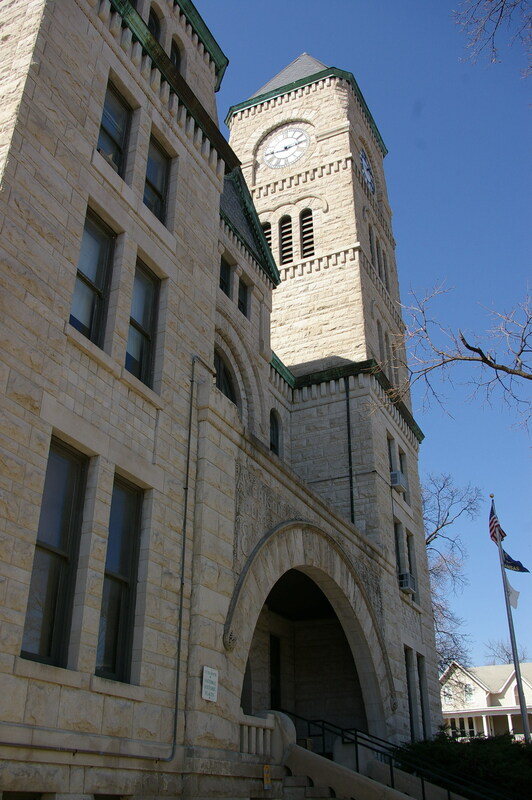 During construction, A D Clark of Atchison was the superintendent and A Semple was in charge of the stonecutting. 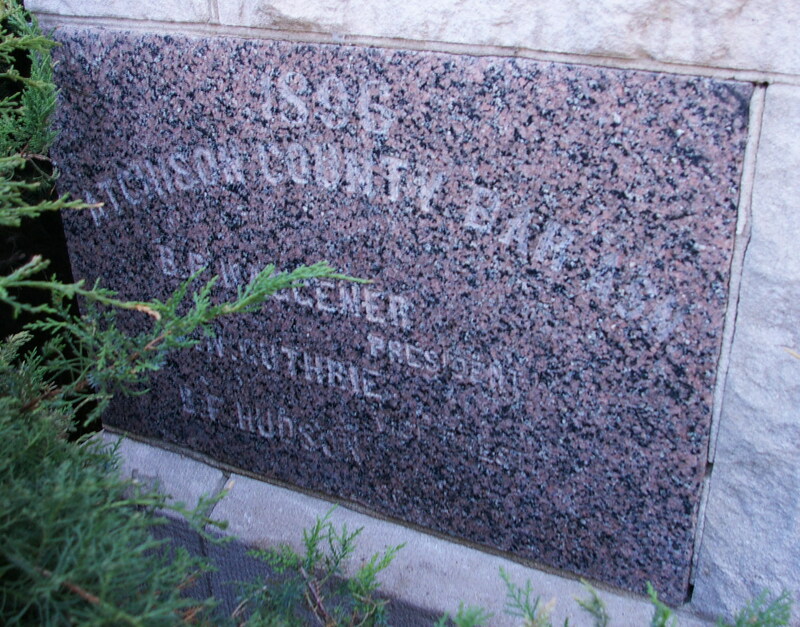 Note: The gray ashlar stone was supplied by the Consolidated Stone Company of Bedford, Indiana. The cost of construction of the courthouse was $61,625. 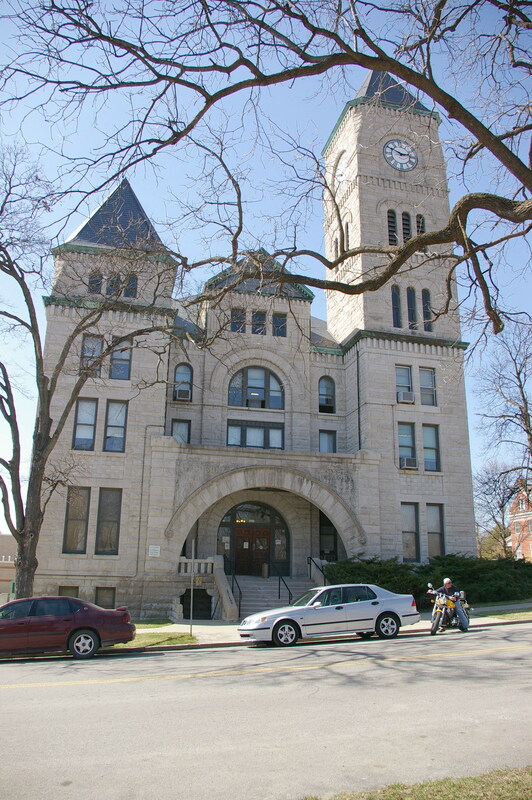 The plumbing and heating contract was let on July 6, 1896 to James Cotter of Kansas City for $6,547. 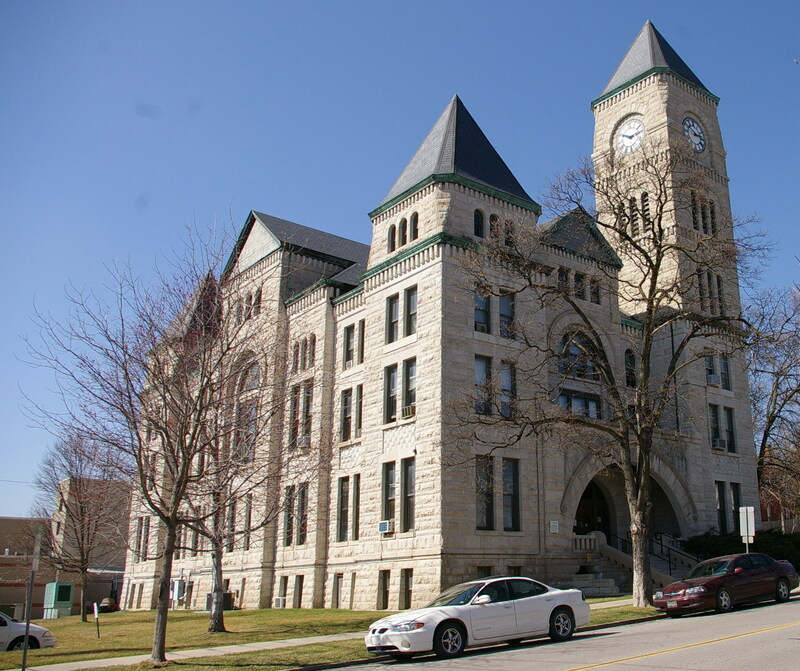 Note: The architect, George P Washburn & Sons, designed courthouses in Anderson County, Butler County, Chautauqua County, Doniphan County, Franklin County, Harper County, Kingman County, Miami County, Pratt County and Woodson County, and Beaver County in Oklahoma.